Buchen Sie Ihren Urlaub im Zeitraum vom 06 April 2019 bis 31 Dezember 2019 und sparen Sie 15 % (mindestens 7 Nächte). 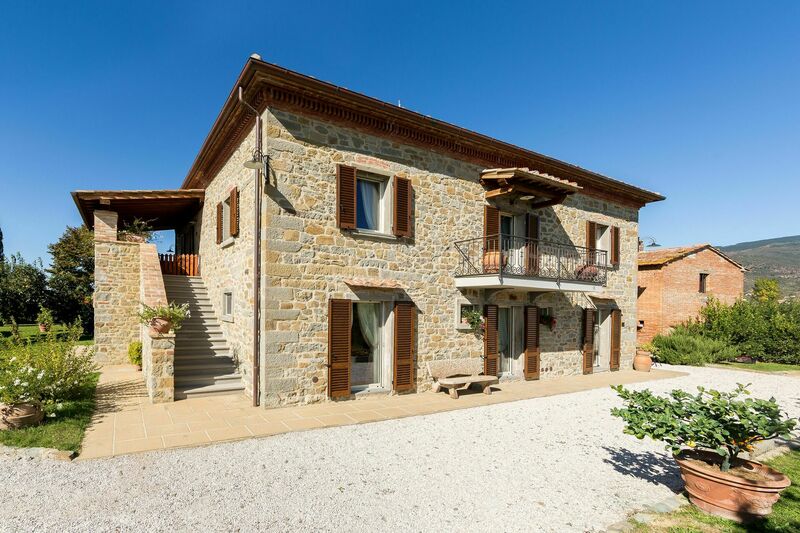 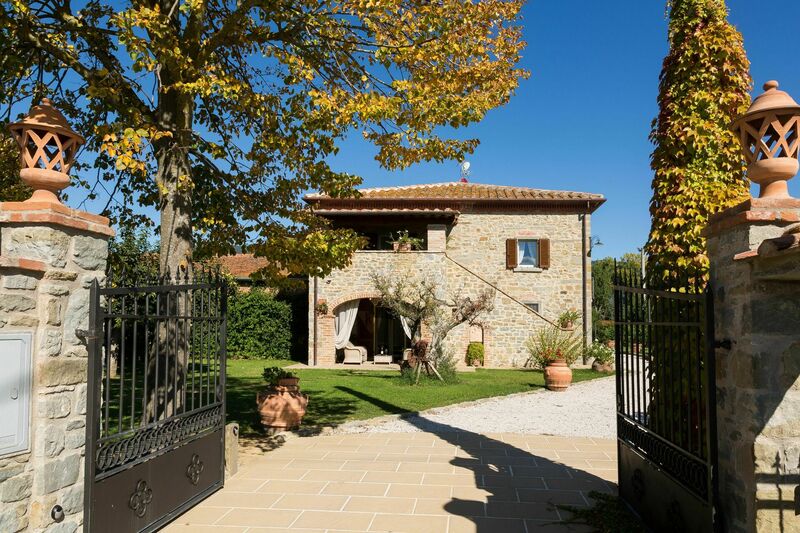 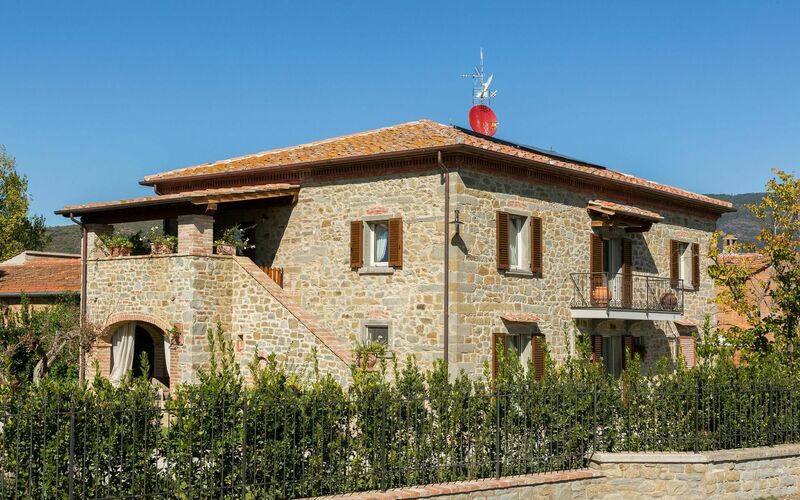 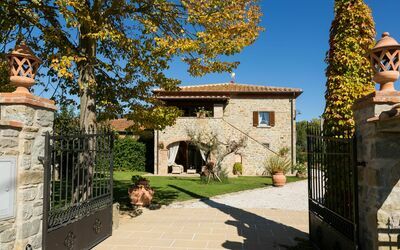 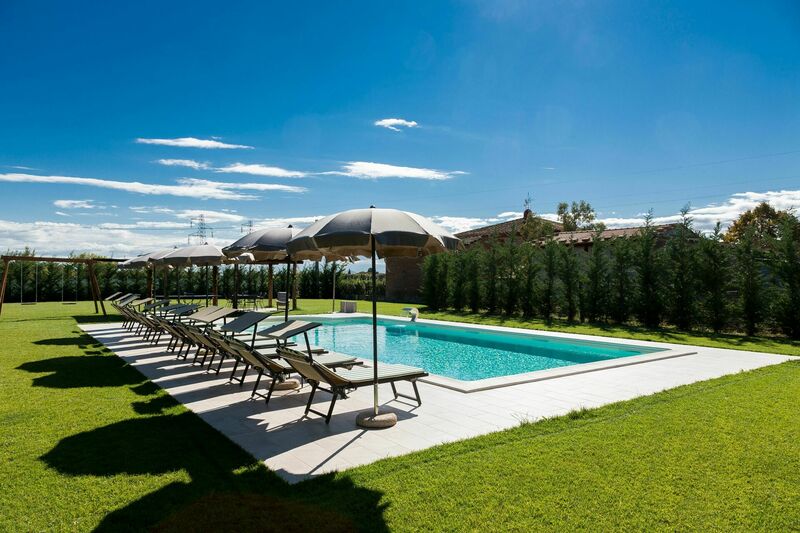 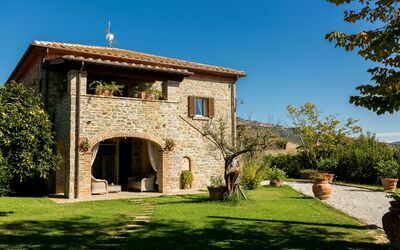 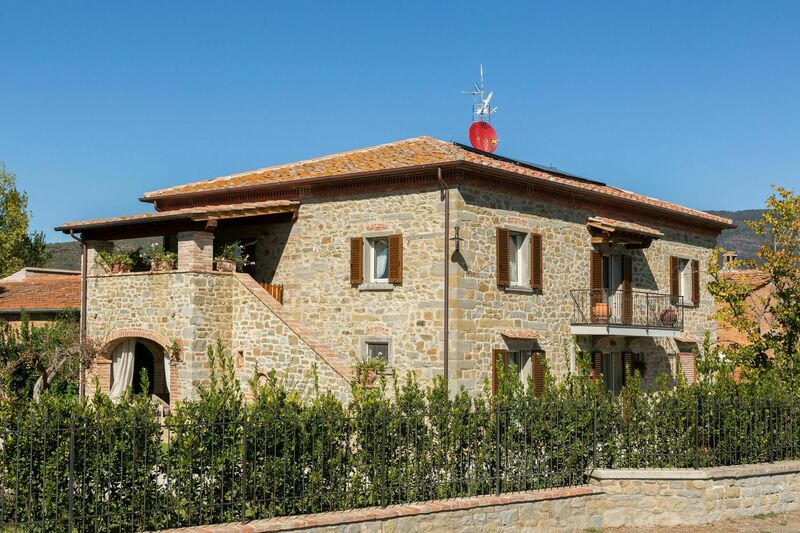 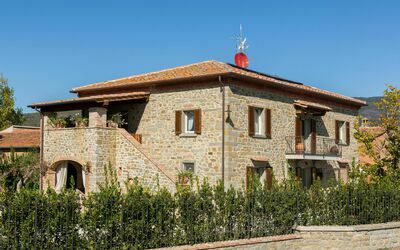 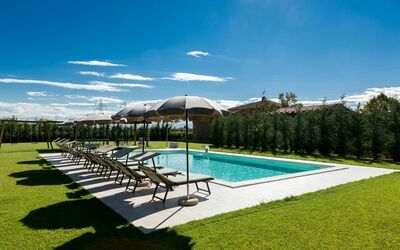 Surrounded by a lush garden, this farmhouse is in an idyllic location, close to the world-famous attractions of Tuscany and Umbria. 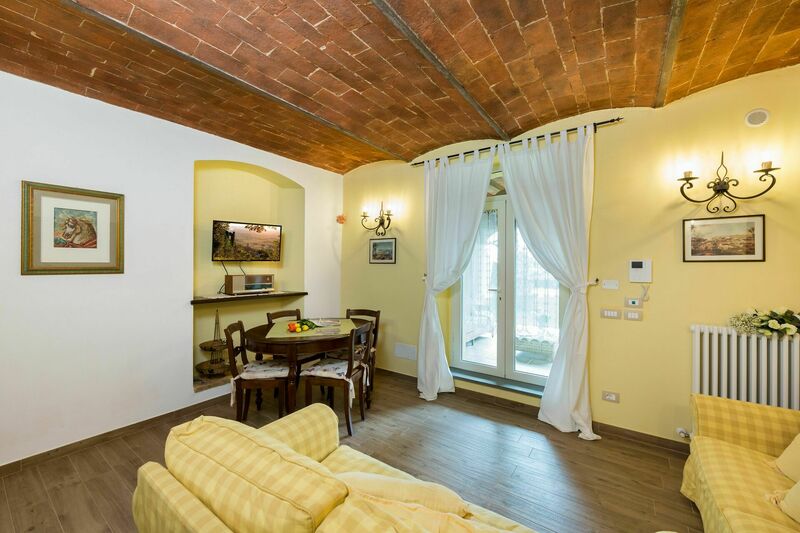 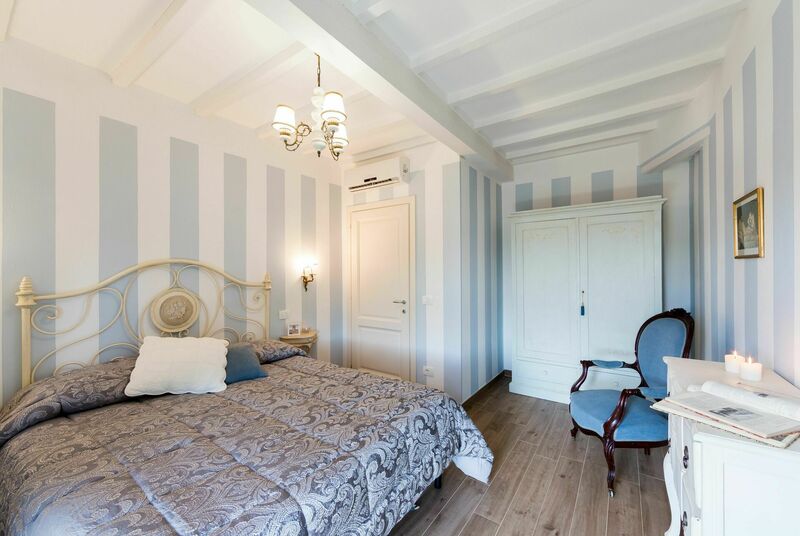 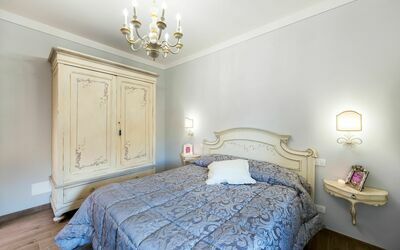 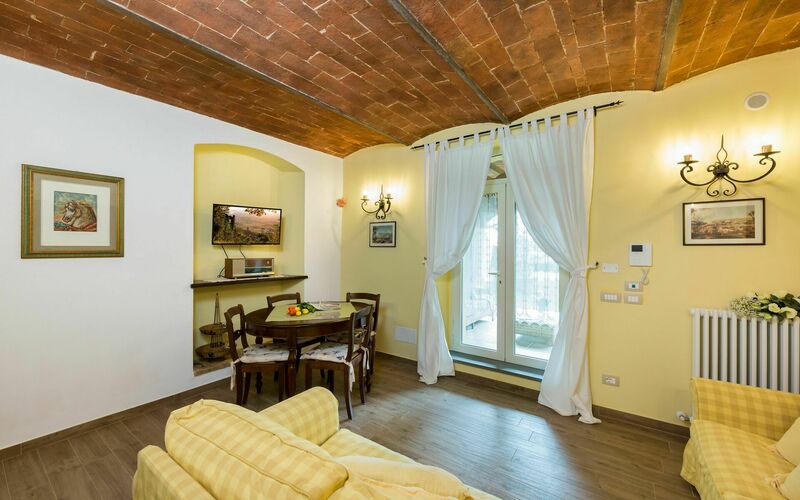 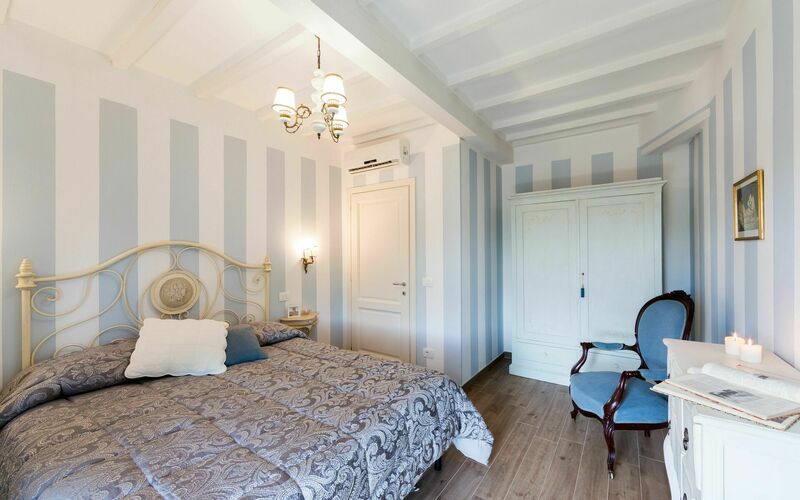 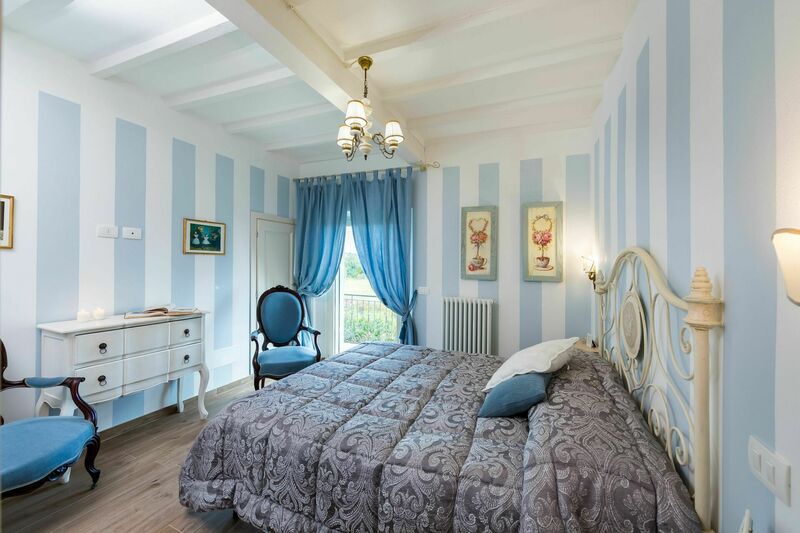 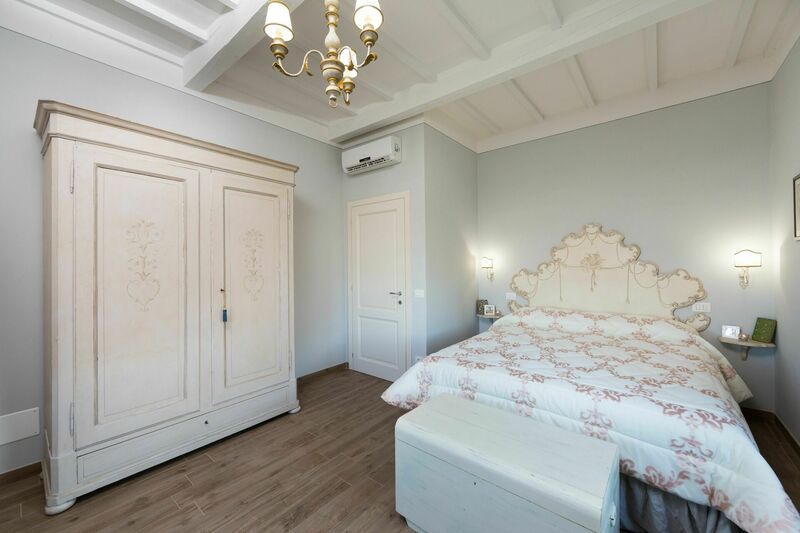 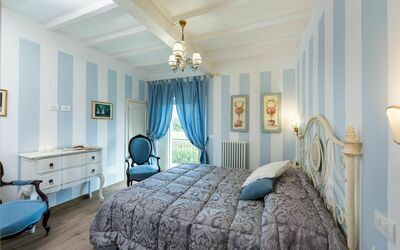 The 240 sqm villa, recently renovated, is on 2 levels and includes 3 independent units. 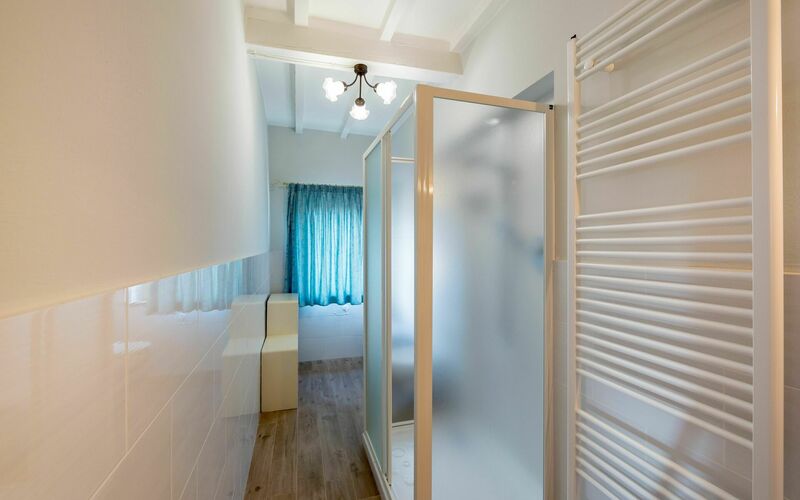 Two apartments are on the ground floor (One of the two apartments comes with a larger living area which can accommodate up to 12 people), while the third is on the upper floor; all the windows have mosquito nets and there is air conditioning in each room. There is also an external annex where the laundry is located. 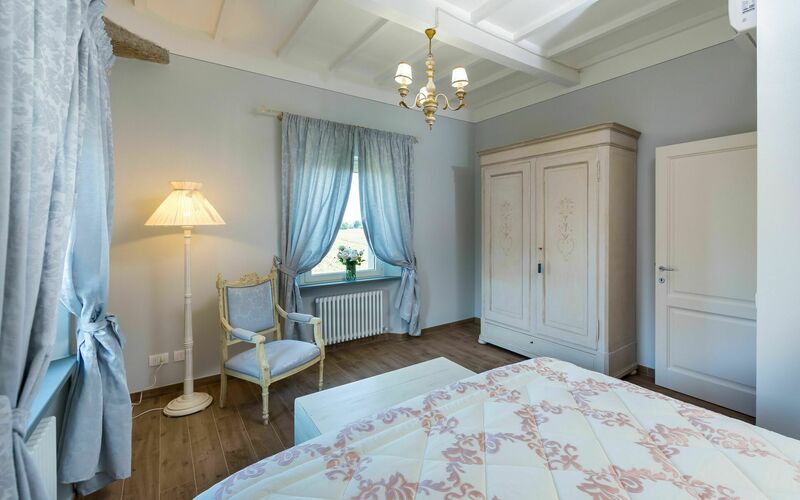 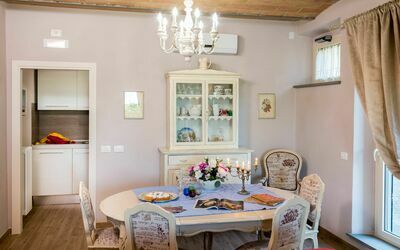 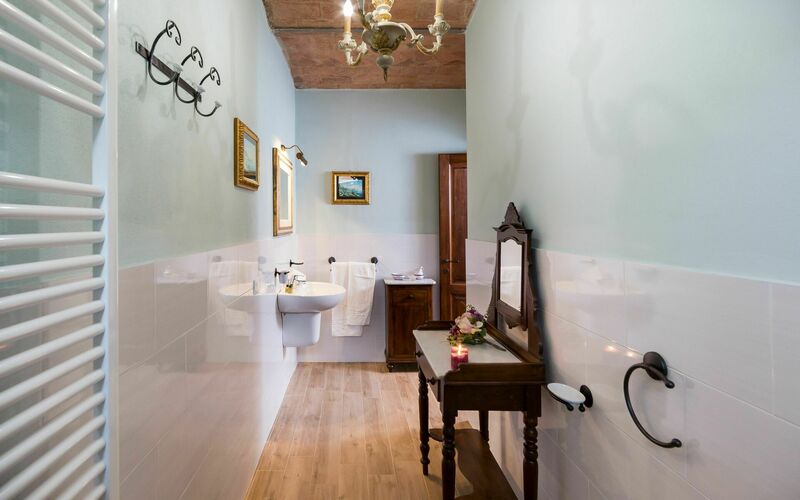 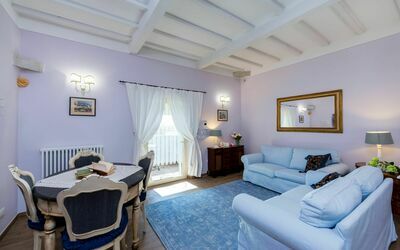 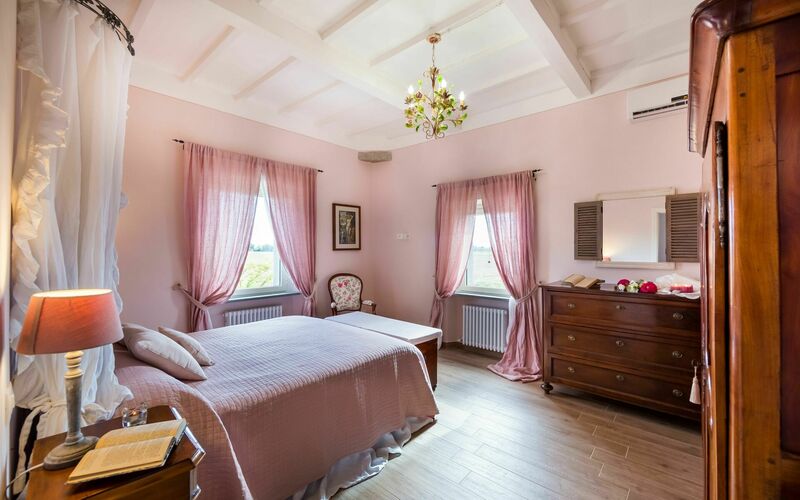 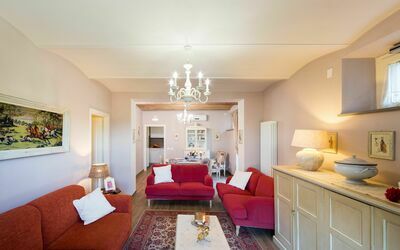 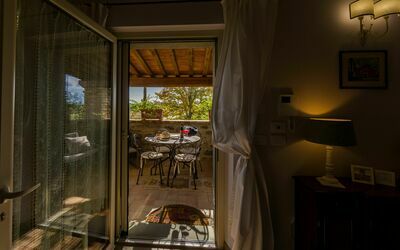 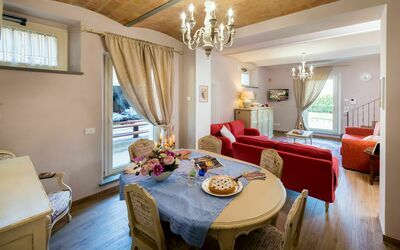 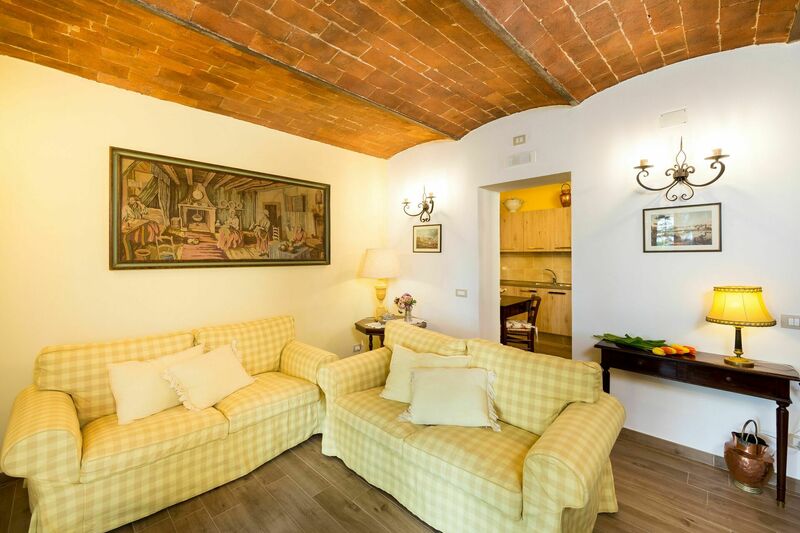 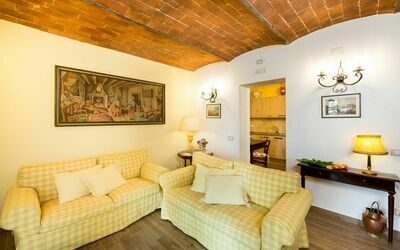 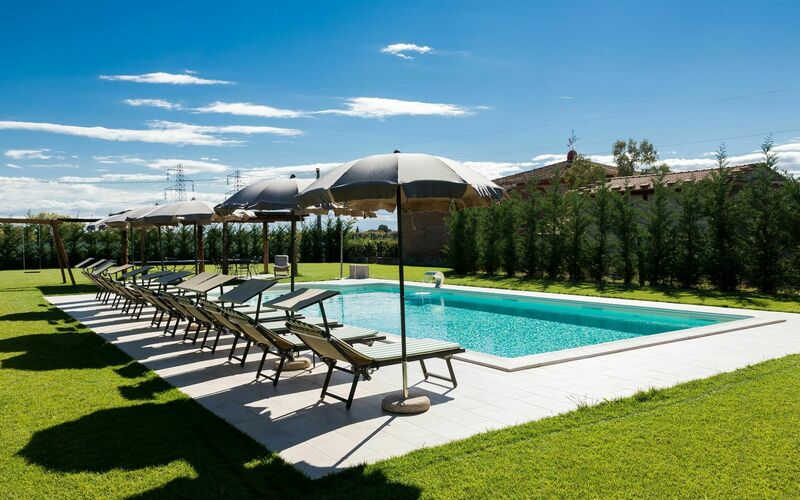 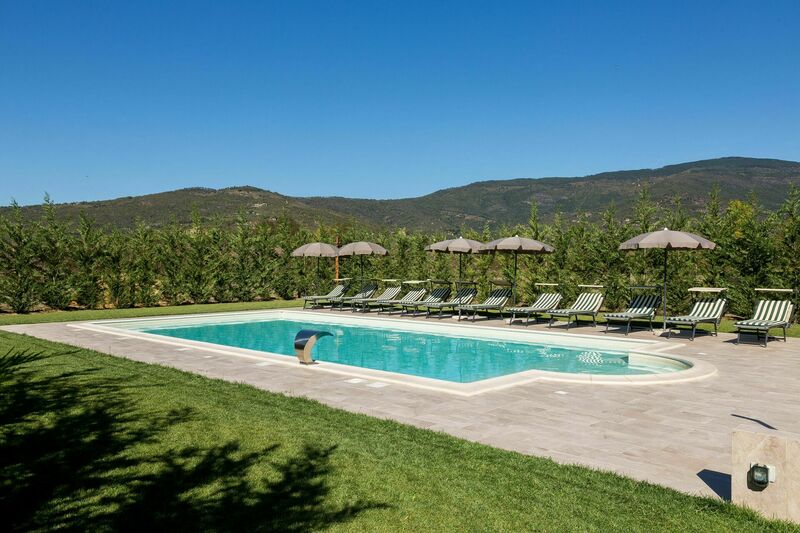 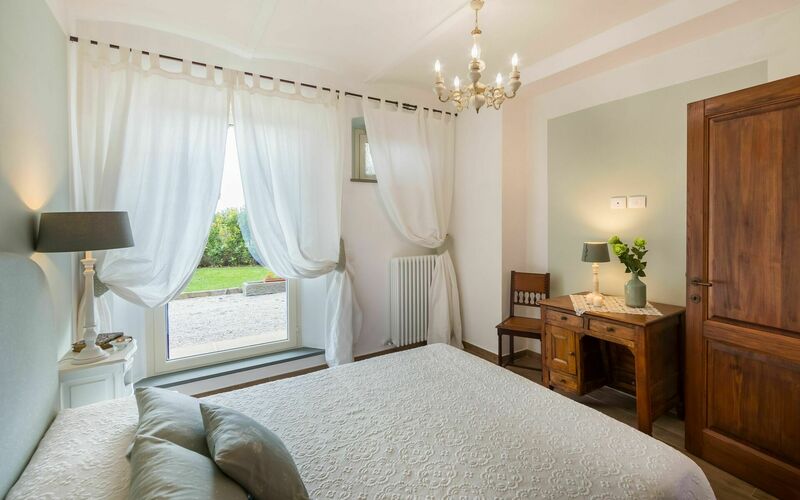 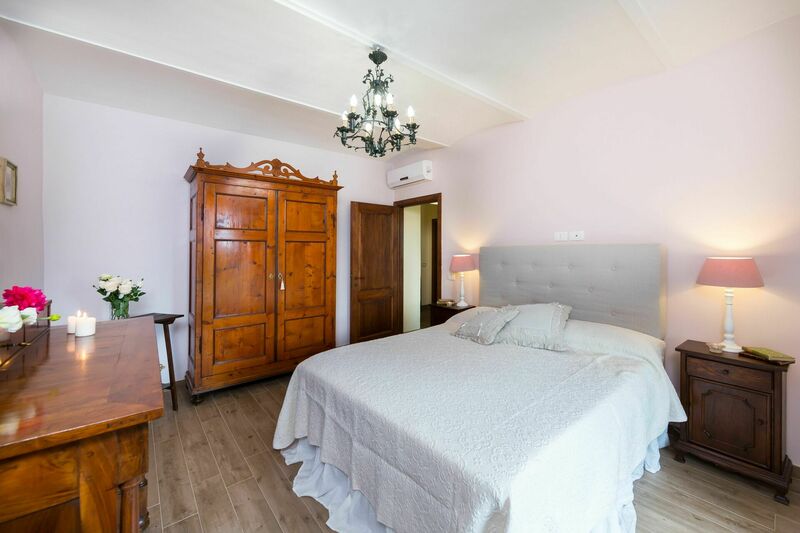 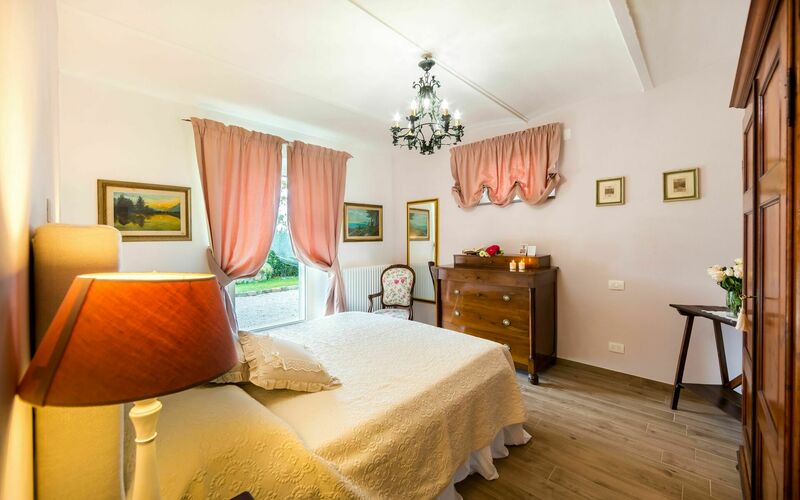 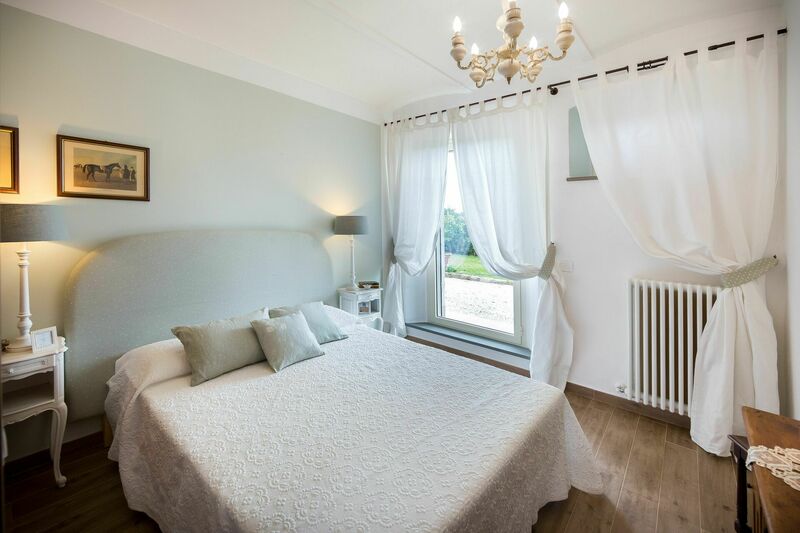 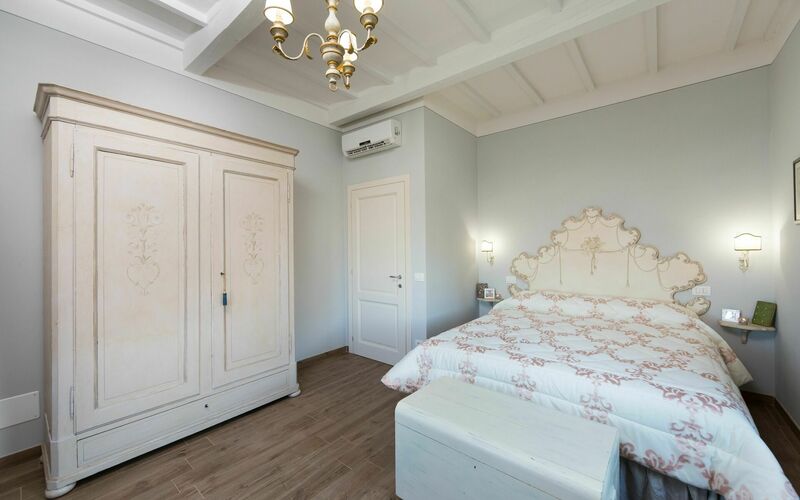 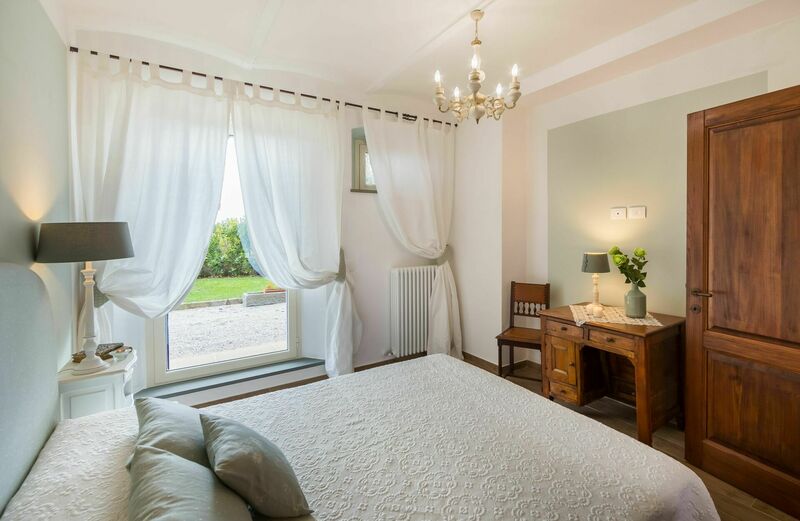 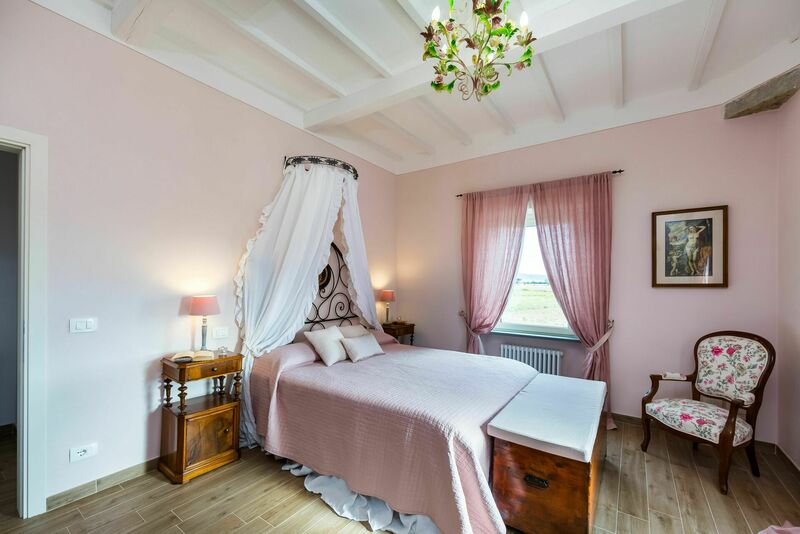 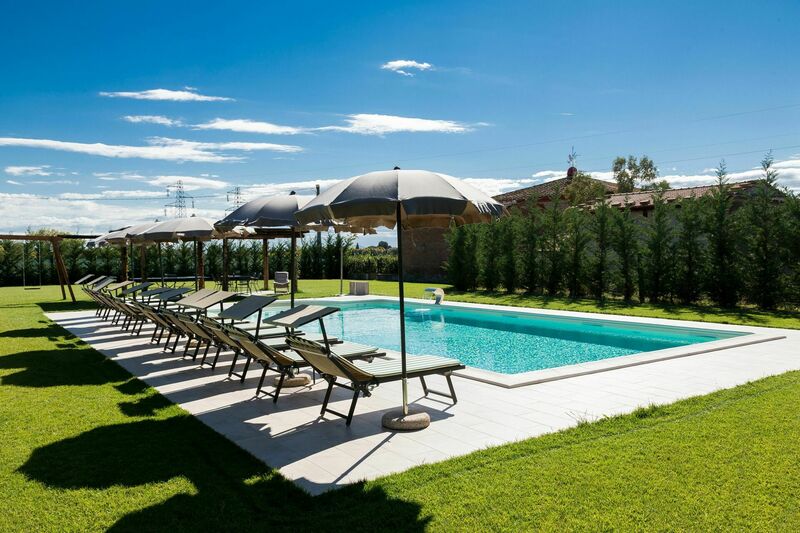 The farmhouse is an ideal place for families with children: quiet and secluded, it has a large garden, a private swimming pool and an equipped gazebo where you can enjoy outdoor meals, which can be cooked on the barbecue belonging to the villa. 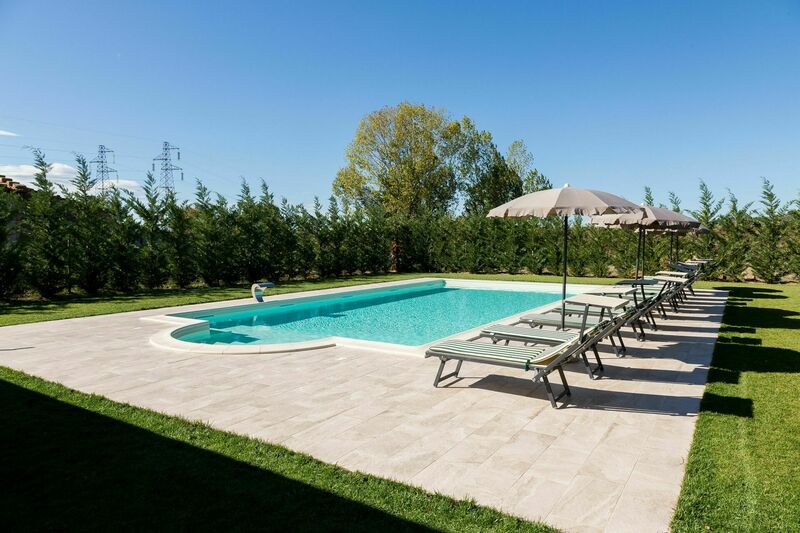 The swimming pool (12m. 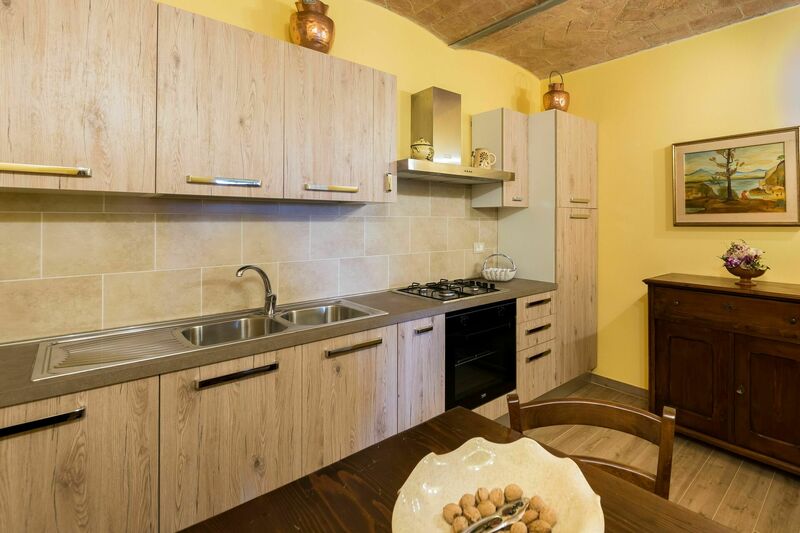 x 6m.) , entirely enclosed by well-kept hedges, has inlaid steps, a whirlpool and a depth of 1.50 m. Free on-site parking for 3 cars. 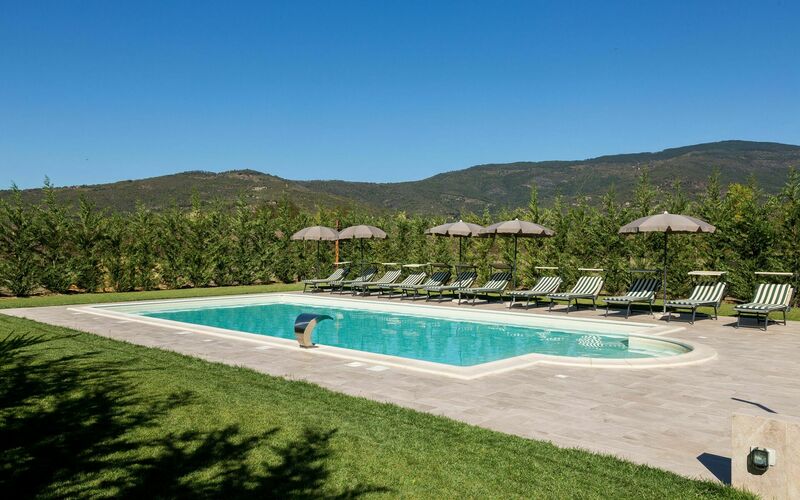 Please note that there are sheep and two donkeys on the estate, but the areas where they graze are completely separate from the villa and guests never come into contact with them. 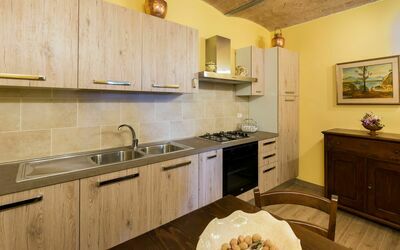 Note: In medium and low season the structure can be rented on request to individual apartments of 4 beds each. 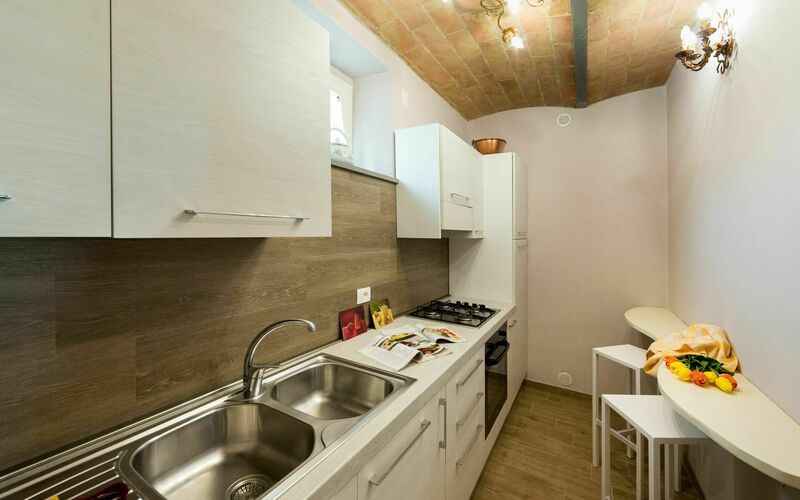 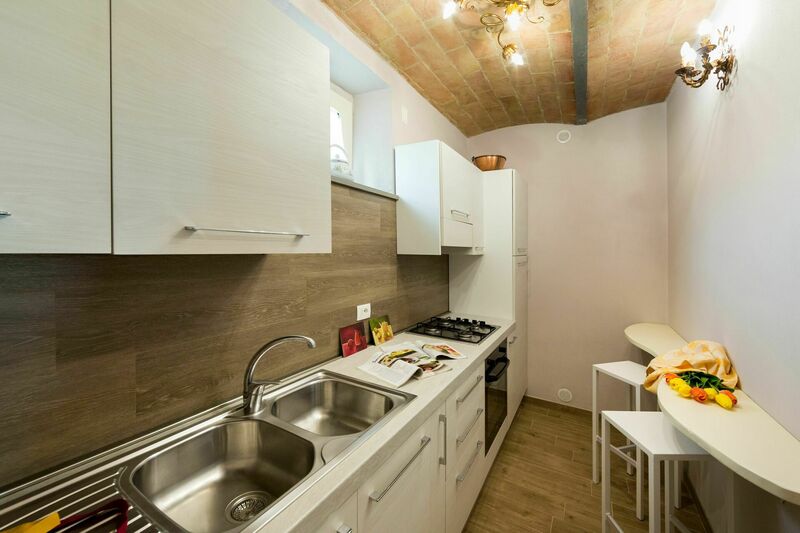 Ground floor: n°2 comfortable living areas, one of which is very large; n°2 fully equipped kitchens; n°4 double bedrooms; n°2 bathrooms with shower. 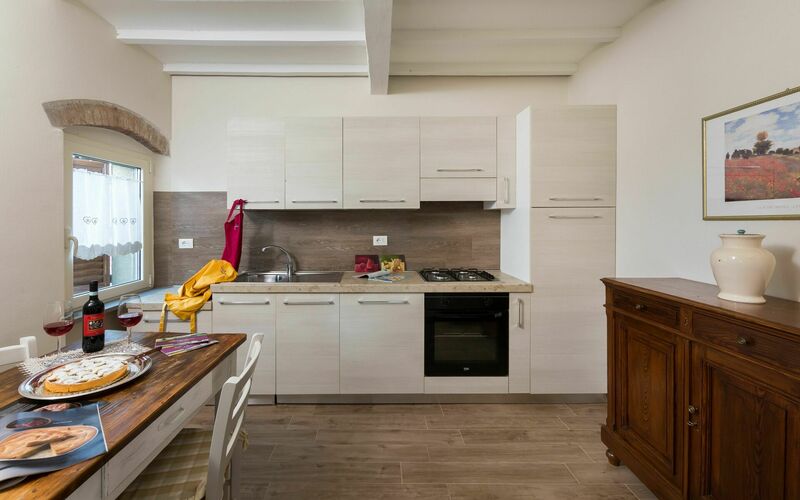 First floor: n°1 living area; n°1 fully equipped kitchen, n°2 double bedrooms; n°1 bathroom with shower; n°1 equipped patio, ideal for outdoor dining.